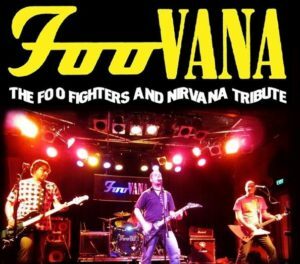 Foovana are a Melbourne based tribute band who have come together to celebrate the genius of Dave Grohl and Kurt Cobain and recreate the energy and the dynamism of Foo Fighters and Nirvana. 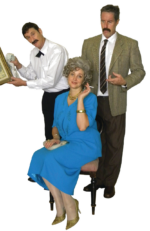 The band consists of four highly experienced musicians who have honed their skills in a variety of bands over many years. Foovana aim to deliver a cross section of material from early Nirvana to the latest Foo Fighters whilst preserving the power and integrity of the original music. Foovana strive to emulate the raw energy and emotion of the vocals, maintaining the complexity of the pulsating rhythms and searing power of lead guitar. This is made possible by the dexterity and experience of the band members along with their passion for the music.